KM 85/50 R Bp Pack 13511270 https://www.kaercher.com/tn/professional/sweepers-and-vacuum-sweepers/vacuum-sweepers-ride-on/km-85-50-r-bp-pack-13511270.html Fitted as standard with battery and charger, the agile KM 85/50 R ride-on sweeper impresses with its high area performance. This compact entry-level model is easy to operate. 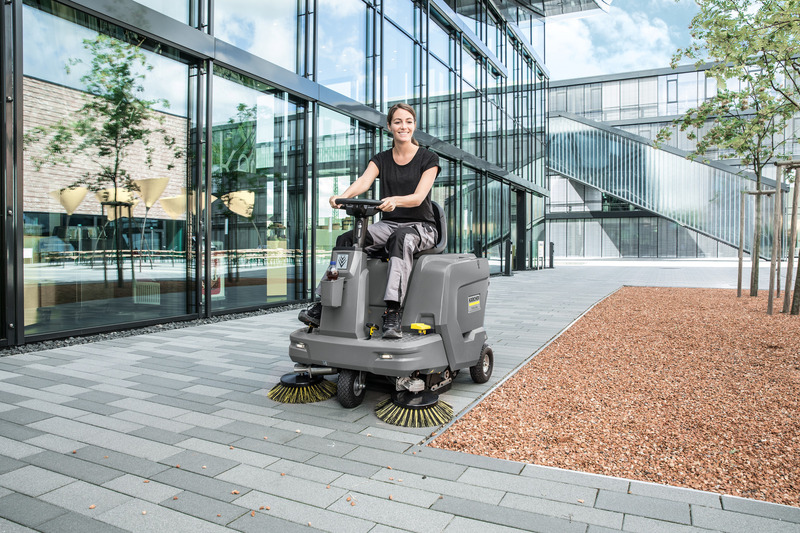 Fitted as standard with battery and charger, the agile KM 85/50 R ride-on sweeper impresses with its high area performance. This compact entry-level model is easy to operate. Our KM 85/50 R Bp Pack entry-level model impresses with excellent equipment for a ride-on sweeper in this price category. 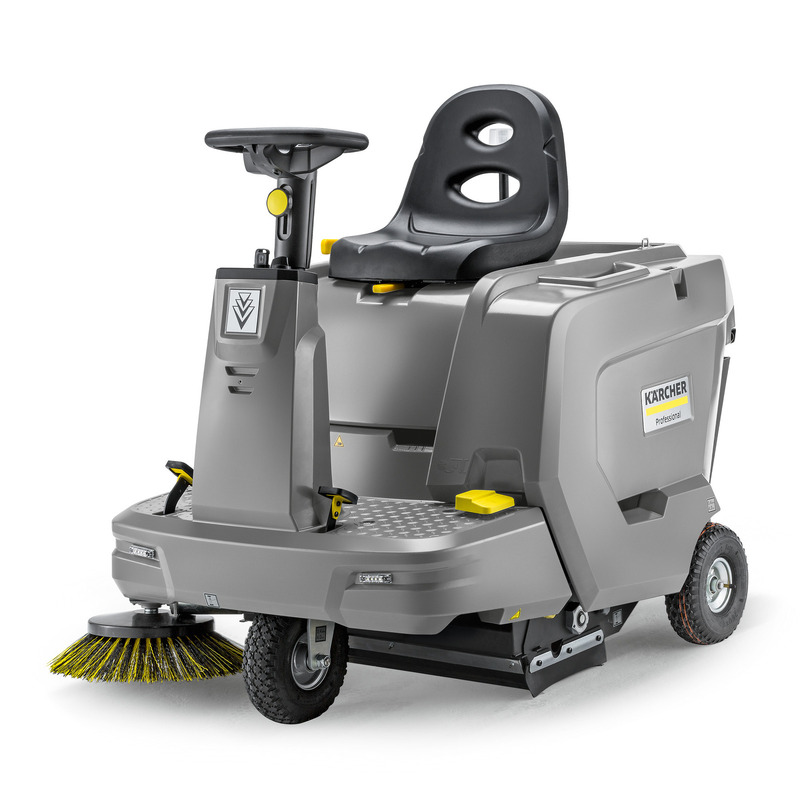 The battery and charger come as standard in the same way as the rotating side brush with speed regulation, a large dust filter for dust-free working and a wear indicator for the main sweeper roller that can be read off from the outside. The extremely compact design of this machine ensures a high level of manoeuvrability, which also enables it to be used in confined and congested areas in particular. Furthermore, it features impressive area performance in inside and outside areas and is extremely easy to operate. Maintenance work, such as changing the main sweeper roller, can be carried out without tools. The floating roller never has to be readjusted, yet nevertheless removes dirt on uneven floors without leaving any residue. It is also possible to easily access the inside of the machine without tools through a wide-opening cover. The operator can conveniently clean the dust filter from their seat. Thanks to our integrated Home Base system, it is equally as convenient to carry additional cleaning utensils.